Q. How do I search for an eBook? 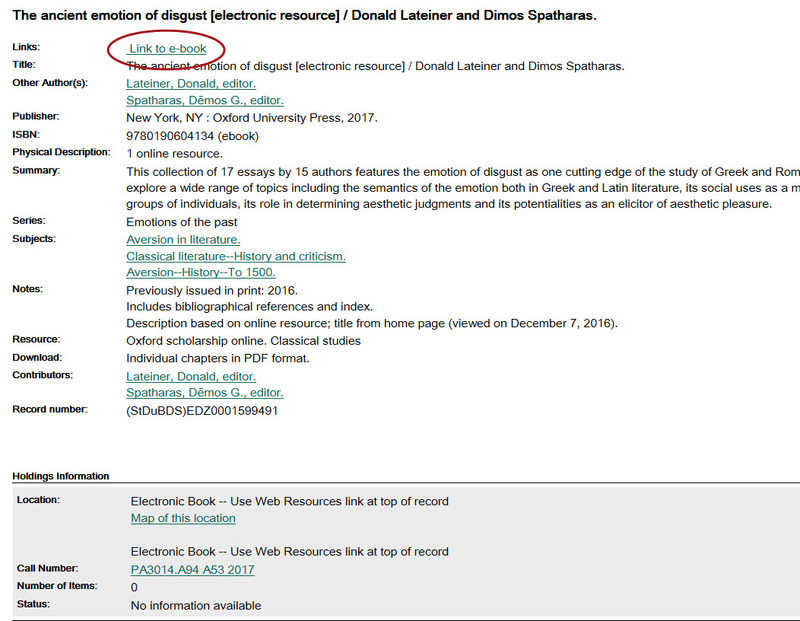 You can search for an eBook in the catalog and SearchMore. 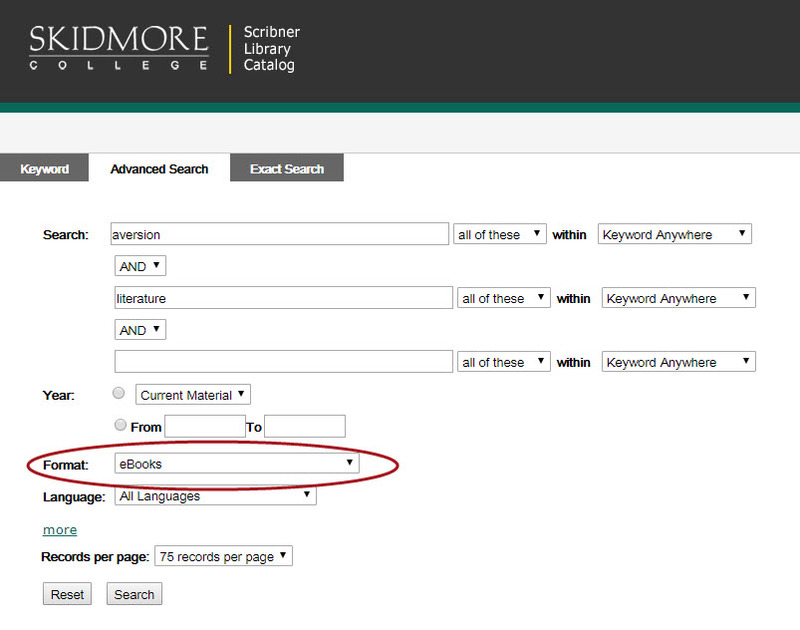 In the catalog, type your search terms into the search box and then select eBooks from the Format field. When you click on a result, you'll see a link to the eBook, which will take you to the platform where the eBook is found. Sometimes this will require you to sign in with your Skidmore username/password, sometimes not. Once in the eBook, you will be able to see whether it can be downloaded onto a device or whether you can only view/print a selection of it. It will depend on the vendor.